The world is ending May 21, 2011! Errrmmm, maybe it's actually... May 22, 2011!!... Oh, well when that one doesn't come to fruition, I'm going to call it right here. I, Kevin Nelson, predict the world will end on May 23... 2011. And if it doesn't occur then, it will occur either before or after. With people predicting this Saturday as the be-all end-all... end-all. And like all other predictions of our imminent doom, it won't come true. But that won't stop some of the less educated from fearing it, and therein lies the fun of this unofficial holiday. Hey all you apocalypse jockeys out there, isn't it the most fun predicting when the world will end? Sure, I could be a spoilsport and point out how the world will end in roughly five billion years when the sun becomes a red giant and engulfs us all, but that's just so lame. None of us will be alive by then, and there's no presidential administration we can pin the blame upon. of the entire human race! So I'm predicting apocalypse now by jumping on the end world bandwagon. I figure, what better way to drive people to my blog than by arbitrarily picking dates and causes for the end of the world. If I say it with enough conviction, and cite enough irrelevant facts, people accept it as gospel. This really does work, just ask the Mayans. That is, if the Mayans hadn't predicted they'd be wiped out by super-plagues. Or I also foresee death and destruction on April 22, 2019, when everyone celebrates Earth Day by purchasing it an ironic card and leaving it on the ground. This will upset the world, especially on its birthday and cause implosion. Did anyone ever see “The Happening?” No? Well, that will happen on July 12, 2021. All right, many of the above scenarios aren't going to happen. The Giant Floating Cat of Outer Space is to busy playing with the rings of Saturn, and we all know the sun is too BA to become a lame red giant. But much like these events, I realize I have survived many apocalypses of the past. I don't know if this is because on those days I was just really limber and didn't absorb the impact, or if I'm some gift from the heavens, but I have managed to see my way through a fair share of hypothetical death and destruction. 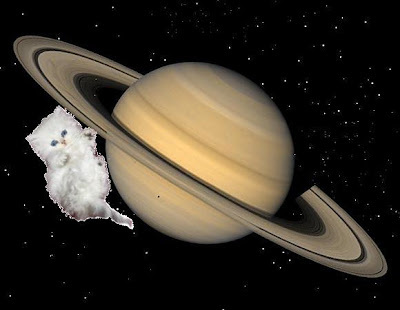 Awwww, Giant Space Kitty hates planets! On August 29, 1997, the day “Terminator 2: Judgment Day” claimed as its titular day of doom, I also lived. However, I spent my time that day at the Minnesota State Fair. As a result, my brother and I were almost bored to death. 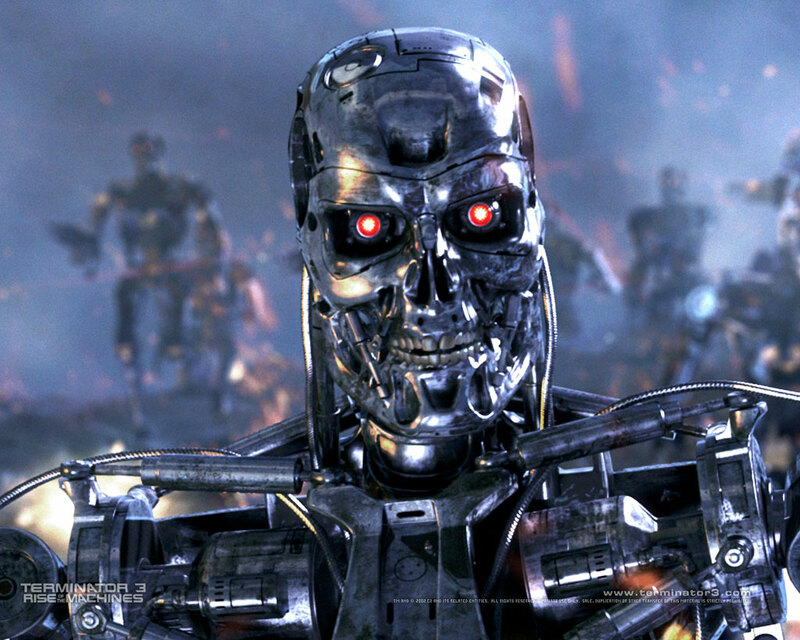 We kept looking towards the heavens, hoping and praying Skynet would become self-aware, decide to exterminate humankind and launch an attack upon Russia. It didn't happen. Instead, we had to eat Alligator on a stick, a much worse alternative. Back in 8th grade, so sometime circa February 1999, a vicious rumor started circulating that the Chinese were planning on bombing us and the world would end at noon that day. The main problem with this rumor is it just wasn't specific enough. By “us” did it mean that nation planned to bomb our nation, or was it the more likely scenario—they wanted to bomb Wayzata West Middle School. After all, they had to have hated how “Drop Dead Gorgeous” was filmed there and would most definitely want to teach us a lesson. Normally a middle school lunch room is filled with volleys of calling people “gay” and that person denying it, but on this day, the room was (pardon me) deathly silent. As the seconds ticked closer to noon, everyone thought for certain we were goners. Then noon came, followed by 12:01, then 12:02 then 12:03. We hadn't died in some horrible, unnecessary, unknown, unprompted attack. Instead, life continued on. Wayzata West survived. It's true, I've survived many-a judgment days, apocalypses, mutual assured destructions, Lynyrd Skynyrd concerts and viewings of “The Princess Bride.” I have developed an immunity to all things world destructive. I'll sit here laughing while people fear the rapture on Saturday. And with that in mind, I say bring it on 2012. You're just another apocalypse for me to drive through Mad Max style.